When this book was pitched to me by the publisher, I was immediately drawn in. The first few pages are a flash forward of an event that will make any parent feel uneasy. As you flip through following the pages you can't help but try to solve the whodunnit mystery. The Girls in the Garden introduces us to a group of teenagers who grow up and bond in a park hidden behind their homes. Together, they stay out late, have fun and get into trouble. The build up to the mystery intensifies as the day of the neighbourhood party nears. I enjoyed many aspects of this book. My favourite being the character development. Jewell does an amazing job pulling the reader into the lives of her characters. You can't help but feel invested in their every move and questioning each of their decisions. The Girls in the Garden takes you on a ride through the lives of ordinary teenagers who live in an extraordinary community. Part family drama, part psychological thriller. The story will pull you in and you won't want to stop until you put the mystery to rest. For even more details on the book, check out the trailer below. 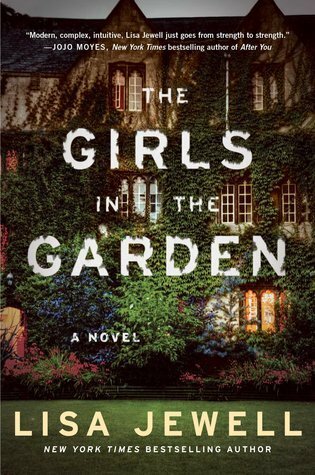 Disclaimer: I received an advanced reader copy of The Girls in the Garden from Simon & Schuster Canada. All opinions are my own. It seems really interesting but you only give it a 3 so something is missing, execution??? You have piqued my attention. Hi Marce! I can't believe I missed your comment. Girls in the Garden was definitely an intriguing read that draws you in ... but only in certain parts. I just wish the entire story was more cohesive.